Kash Money and the Green Monster are two new limited edition colourways just released by Race Face. The good folks at KRD (the New Zealand distributor) thought you deserved a bit of a Christmas pressie as well and have given us a couple of sets of Race Face's classic DH/All Mountain bar the Atlas to give away, in the new colours of course. It shouldn't be too hard to figure out which one is which. They're 785mm wide and feature a .5" rise with a 8˚ rearward sweep and an upward angle of 4˚. They weigh in at 340grams. To win them all you have to do is come up with another name for the colour of either of the bars. The harder I laugh the more likely you are to win a set. I'll draw it next Friday the 11th. Entries need to be posted here in the comments section under this post and its only open to people with a New Zealand address. 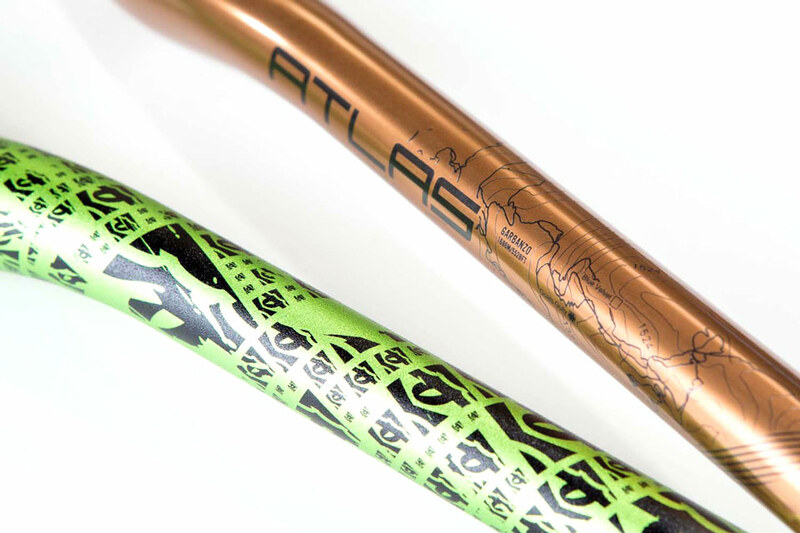 Oh and the Kash Money and Green Monster colours don't just stop with the bars'; you can get Atlas cranks in these colours too. We won't be giving be these bad boys away though, you'll have to hit up your local shop for Atlas crank love.